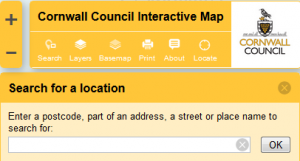 Click on the Cornwall Council Interactive Map image to access the Cornwall Council Interactive Map. To search for a location, type in the postcode, part of an address, a street or place name to search for: e.g. Ladock Church and then click the OK button. Click the Zoom buttons to zoom in or out. 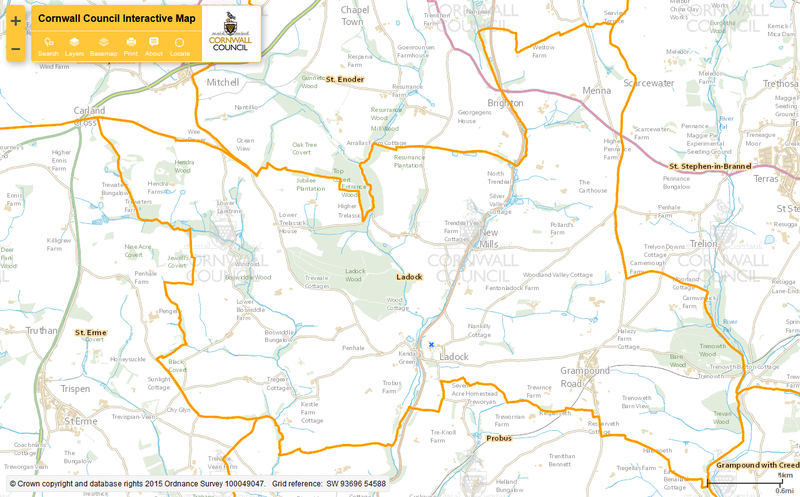 To view the Parish Boundary, on the Cornwall Council Interactive Map Toolbar, click the Layers button. 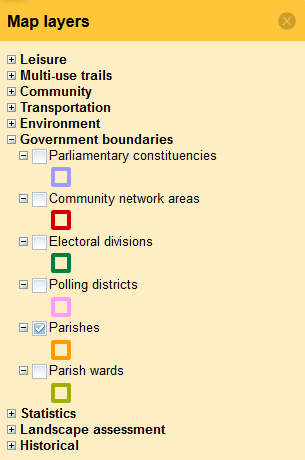 Click the + next to Government boundaries to expand the options and then select the Parishes check-box. Click the Close button (right of Map layers title bar) to close the Map layers window and view the Parish Boundary.